My Thirteen in 2013 book pick for August was Yann Martel's Life of Pi, which I had actually never read before (I know!). I thought it was a fabulously constructed story, full of so many unexpected, thought-provoking twists and turns. I then rounded out the month by watching the movie, and all I can say is that the movie was literally one of the most beautiful I have ever seen. The visuals were stunning, and the movie did a fabulous job of living up to the novel. It was one of the better interpretations of a book I have ever seen on film. Life of Pi is the story of Piscine Molitor Patel (I loved the attention paid to little details like that! ), the son of an Indian zookeeper who is stranded in the Pacific Ocean after the ship that was carrying his family to a new life in Canada sinks. 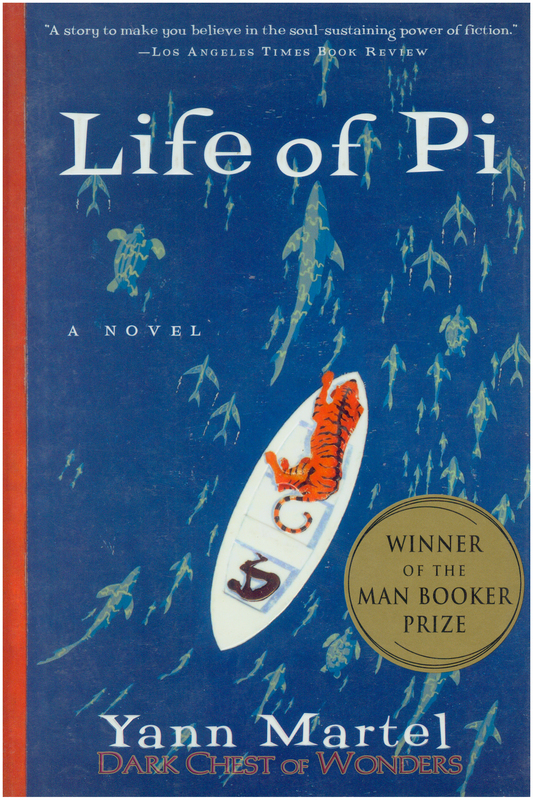 The bulk of the novel tells the story of Pi's attempts to survive while sharing a lifeboat with a Bengal tiger. It is a deeply introspective book, but it vividly constructs the extraordinary events that befall Pi and his tiger as they drift across the Pacific Ocean. It was equal parts heartbreaking and heartwarming, and the storytelling was absolutely brilliant. If you haven't already read this book, I could not recommend it enough. See the movie, too, if you haven't. I can see why Yann Martel won the Man Booker Prize for the book, and I can equally see why Ang Lee won an Oscar for best director for the movie. Have you read the book or seen the movie? What did you think?